Testing is an important part of the software development process because it improves the quality of the code and the quality of the final product. 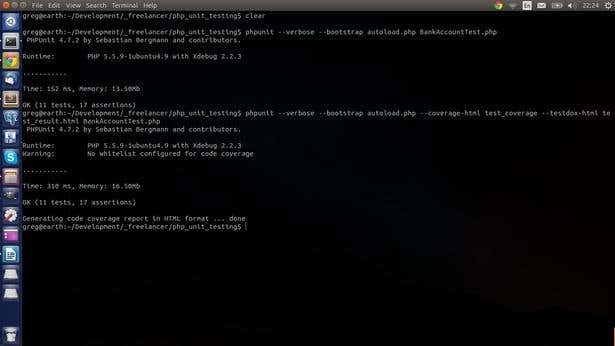 Since PHP is still one of the most widely-used programming languages around the world, I thought it would be a good idea to cover testing basics using PHP. 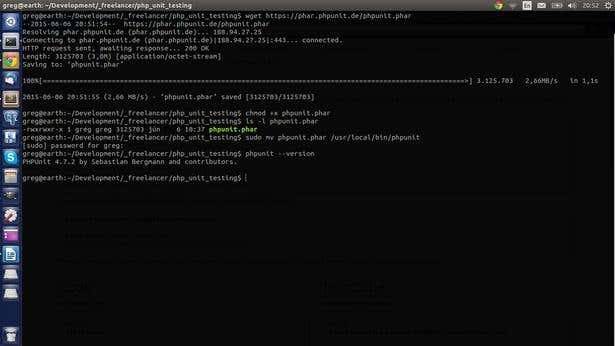 We can also download the phar file from the PHPUnit website and do the installation manually. You don’t need to have a Web server running on the system to run the code, but you're going to need PHP or PHP5 and the related CLI (command line interface). 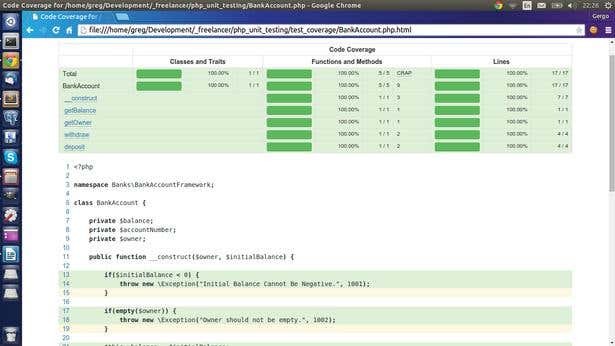 The test class—BankAccountTest—is extending the PHPUnit_Framework_TestCase class. This is a base class that implements methods as assertEquals(), assertTrue(), @depends and @dataProvider annotations. When using PHPUnit, every test method should have a name starting with the word test. I like to name tests using underscores and adding a final OK/Fail suffix to the test names to indicate which scenarios the test cover. We have tests for successfully creating a new bank account (test_creation_OK), and tests to cover validation logic as well(test_creation_Fail1, test_creation_Fail2). There is one test (test_workflow_1) which has two annotations, @depends and @dataProvider. The @depends annotation specifies which test it depends on, and which test needs to be executed before this one. The workflow test depends on the test_creation_OK test, which creates and returns a new BankAccount object. The returned value is passed to the dependent test—this is what we are accessing when getting the values from the func_get_args() method. The @dataProvider annotation specifies a method as a data source for the actual test, and the function can be considered as a data generator for our tests. The test_workflow_1 test will be executed as many times as the number of test data is returned by the data provider function. In this case, it's three times. The array returned by func_get_args() is populated with the values from the data provider function, followed by the values from dependent tests. By using these two annotations, complex test scenarios and work-flows can be modeled and tested. Using the --testdox-html flag, we can enforce the generation of HTML reports and coverage-html (we will need to have the php5-xdebug package installed) to generate code coverage in HTML format.